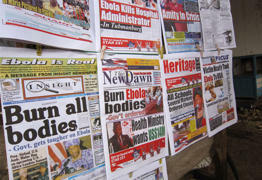 Several countries in West Africa are in the throes of an epidemic of Ebola virus. Over 1200 cases and almost 700 deaths in the country of Guinea, Sierra Leone, and Liberia make it a candidate for the next great Pandemic. The disease has decimated health care workers, with a number of doctors, nurses, missionaries, and others dying from the illness. Indeed, the Peace Corps is now pulling its workers from the affected countries as we speak. The Ebola outbreak hit close to home when American Patrick Sawyer died in Lagos, Nigeria en route to visit his family in Minnesota. 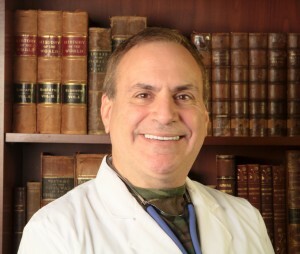 Although he did not become Patient Zero in the U.S., other infected Americans were transferred to the CDC hospital in Atlanta, Georgia. Despite all this, few people really know what Ebola virus is and how it does its damage, and they certainly don’t know what to do if it arrives in their neighborhood. Later on, The central nervous system becomes affected: Severe headaches, altered mental status, and seizures ensue, sometimes resulting in the patient going into a coma. So how do we cure Ebola. We don’t. There is no known treatment, cure, or vaccine for Ebola at present. The doctors can only try to make the patient comfortable and hope they get better on their own. Therefore, I recommend stocking up on masks, gowns, eye protection, and gloves, and learn about how to have an effective survival sick room. We’ve got a video on our Youtube channel on the subject. 9 Comments on "Ebola Update"
This is scare tactic sensationalism at its worst. I usually enjoy reading the content of American Preppers Network, but as a healthcare worker (that worked for 2 years in West Africa) I cannot stand by and ignore this. While his basic information is factual, Dr. Joe Alton is being part of the problem and not the solution. Ebola has killed about 5,000 people in Africa since 1976. Total. In comparison the CDC estimates of flu related deaths from the 1976-1977 season to the 2006-2007 season are about 49,000 in the US alone. As horrific as Ebola is, there is minuscule evidence to be afraid of an outbreak in the US. And cautiously taking 2 Americans to the CDC in Atlanta to be treated is neither dangerous nor reckless. His suggestion of “stocking up on masks, gowns, eye protection, and gloves” is asinine at best. And a ploy to make money off hysteria at worst. By the way, Heart Disease kills 600,000 Americans a year. You have more to fear from McDonald’s than you do Ebola. I look forward to Dr. Alton’s hard hitting piece about how we need to be scared of coronary artery disease and hypertension. I’m sure he will recommend that we stock up on statins and fish oil. In the future I hope America Preppers Network will better vet their sources of information and not participate in such media fueled fear mongering. I respectfully disagree with your comment. I see nothing in Dr. Alton’s post that is alarmist. It is informational and all I see are good data and facts. You said that “there is minuscule evidence to be afraid of an outbreak in the US”. Where is your evidence? At this point, exactly what is preventing any infected person, not yet showing symptoms, from getting on a plane bound for the US or any other country? You also said that Dr. Altons “suggestion of “stocking up on masks, gowns, eye protection, and gloves” is asinine at best. And a ploy to make money off hysteria at worst.” Really? Dr. Alton does not have an Internet store, and does not sell these supplies that I’m aware of, but I could be wrong. Telling Americans not to be prepared for an outbreak of Ebola (or any other virulent disease), is like telling women to walk to their unlocked cars alone, in a dark parking garage, after midnight, while texting, in heels, with a big flashy purse. Don’t bother carrying pepper spray. Don’t take a self-defense class. Its just a waste of time and money, right? I mean, the chances of being attacked are so small, right? Mike, as a healthcare worker, the chances of you contracting Ebola *if* it comes to the US are significantly higher than me, for instance. And then what about your family, your wife, your kids? As a healthcare worker, you know how to protect yourself if the worst happens, and you probably already have the supplies, or have quick and easy access to them that others don’t. Why do you want to prevent others from having this information and at least the knowledge and the freedom to choose to protect themselves? I’m disappointed in you, Mike. I would have thought that you, as a health care worker, would want the average citizen to be more informed. You wouldn’t tell people not to wash their hands or cover their cough, would you? I do not see facts and data and information on the possible methods of prevention as “scare tactics”. Thank you for this info Doc. I don’t think many people here in the USA are taking this seriously enough. At times we find ourselves believing that we, as Americans, are safe and untouchable. Doubt if that assessment is accurate. Overconfidence in our abilities to handle any medical problem is one way that diseases like Ebola will cross our borders, or get out of control once within them. I agree. There are too many interested in putting a feather in their hat and saying they worked on this outbreak. “… 0.1% from routine influenza outbreak …” This actually over-estimates the impact of influenza, because many of these deaths would have probably occurred shortly afterwards and indeed LESSER deaths have been reported AFTER a wave of the flue went through a certain region, for some time. While this is often difficult to capture as there are natural fluctuations, q.v. 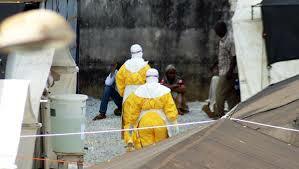 the “canicule” in France and the general heat wave back in 2004 in Europe, Ebola is another matter. It is, to all intents and purposes, a virus that generally kills its (human) hosts while at the same time, unlike some other deadly viruses, being transmitted in multiple ways that are difficult to control, esp. 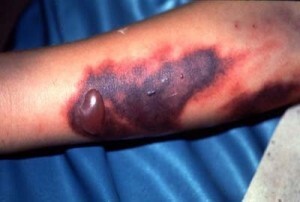 since symptoms are unspectacular in the beginning when the patient may already be contagious. Add to this the probability of it exchanging genetic material with other virus and bacteria species, as other viruses equally do and it may turn into an even more contagious agent for a while and then overwhelm national health services even in “civilized” or “affluent” regions. We have a tendency to not see these things coming, like the Internet boom and bust, the mortgage meltdown and other events. Since gloves and masks and at least devoting some thoughts to a sick room cost nearly nothing and you might need it anyhow, like in the event of a family member contracting e.g. hepatitis, better err on the safe side! Fear mongering was when the bird and swine flue were hyped up. Ebola is something people should at least watch out for. As you admit, Matt, all the information in the article is factual. I wonder what you would say if you were working in West Africa today. As for your cynicism towards preparing for a pandemic, what are you doing here is you’re not preparing for disasters? As I’ve said many times, DON’T buy any of our medical supplies, just get the items ON the lists, which we freely publish so people can get it on their own if they wish. Heart disease is THE major health issue in the country today, and I’ve written about it, but it’s more for a general medical website, not a disaster preparedness website. The key is NOT to panic, but to prepare. Influenza has often been called “The old man’s friend”, because it helps the elderly pass from a painful existence to a (hopefully) better one. So you are correct in assuming that many who die of routine influenza were close to the end in any case. I’m glad you understand the gravity of this epidemic, and that fear mongering is not what we are trying to accomplish with this article. My concern is that our arrogance in believing that nothing could ever become a medical disaster in our country will cause that one mistake. Let’s hope it never happens. The flu may kill more than Ebola, but you don’t die bleeding from your eyeballs. I’m sure if you took a poll of which disease people would rather die from, everybody would pick the flu. It’s not how many Ebola kills but how horrific the manner in the way it kills that makes it so scary.